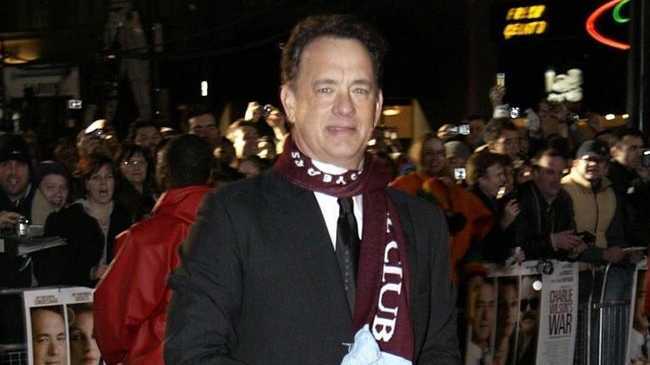 STEVEN Spielberg and Tom Hanks are set to collaborate on another World War II miniseries. The duo, who also worked together on Band of Brothers and The Pacific, confirmed they are developing the as-yet untitled miniseries for US network HBO. It will be based on the nonfiction book Masters of the Air: America's Bomber Boys Who Fought the Air War Against Nazi Germany by historian Donald Miller, The Hollywood Reporter reports. Masters of the Air follows the actions of the Eighth Air Force - known as the Mighty Eighth - who "brought the war to Hitler's doorstep". It describes the bombing of Dresden and Berlin, looking at the toll the air war took on both bomber crews and the people of Germany. In 1943, an American bomber crewman stood only a 20 per cent chance of living through his tour of duty - 25 missions. Band of Brothers, which starred Damian Lewis, followed the actions of Easy Company as they undertook a costly tour of duty through Europe. The Pacific followed US troops as they battled Japan from 1942-45. Both were huge undertakings for HBO, with budgets of $US125 million and $200 million respectively. However, all the series have been successful, drawing high ratings and winning a slew of Emmy awards.